Enjoying the most comprehensive tour of Gloucester, and the Best of Rockport -- seeing five lighthouses, artists’ studios, movie sites, expansive quarries, idyllic villages and scenic beaches. With time for strolling, shopping and photo’s. 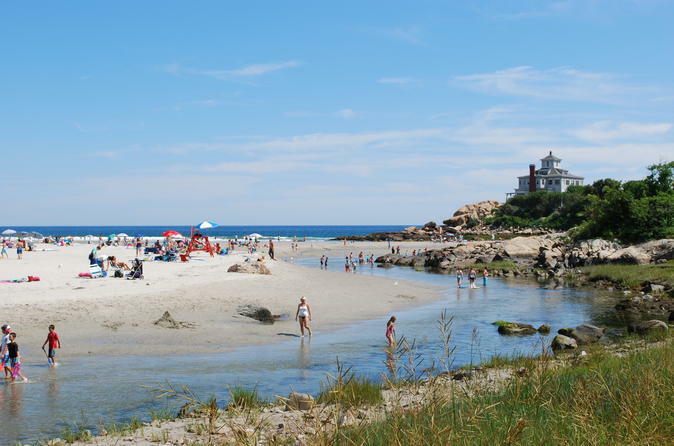 Enjoy the top sites of Gloucester, and the Best of Rockport -- seeing five lighthouses, artists’ studios, movie sites, expansive quarries, idyllic villages and scenic beaches. With time for strolling, shopping and photo’s. Picking up in Gloucester on Stacey Boulevard (32 Western Avenue), passing the working harbor front on the way to Rockport Dock square, where we will have 15-20 minutes to enjoy Rockport. In Rockport, we will have time to take a photo of Motif #1, visit a few stores and we can pick-up Lobster rolls and/or chowder (optional with pre-order).Picking up in Rockport, Dock Square at :30 past the tour start time we will leave Rockport for the little villages that scatter around the island. We will stop at Plum Cove beach, for a short picnic for those who ordered Lobster Rolls or chowder. We will have snacks and soda's available for purchase. (The afternoon tour will arrive about 2 pm, and the evening tour will arrive at 7pm - in time for the magic hour, perfect for catching the beautiful sunset light). Our tour will pass Pigeon Cove, Lanesville, Plum Cove, Annisquam, Bayville and Riverside before passing the former city center. We will continue around the backshore, visiting Good Harbor Beach, Niles Beach, then Rocky Neck, before going to Stage Fort Park and the Fisherman Memorial. The Rockport group will return back to Rockport Dock Square. Please ask about hotel and train pick-up services.